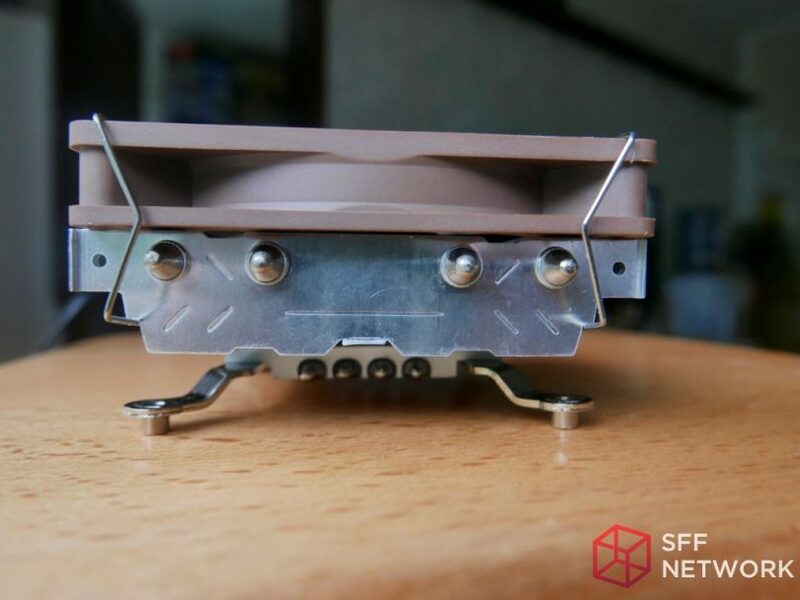 The first CPU coolers to go across The China Desk are the ID-Cooling IS-40 and IS-40 v3. These coolers are from ID-Cooling, a lesser known brand in the western world. ID-Cooling was created 4 years ago, being launched during Computex 2013. How far has ID-Cooling come in this short time? Let’s find out. I am looking at two coolers in this review, so we need to be able to tell them apart! 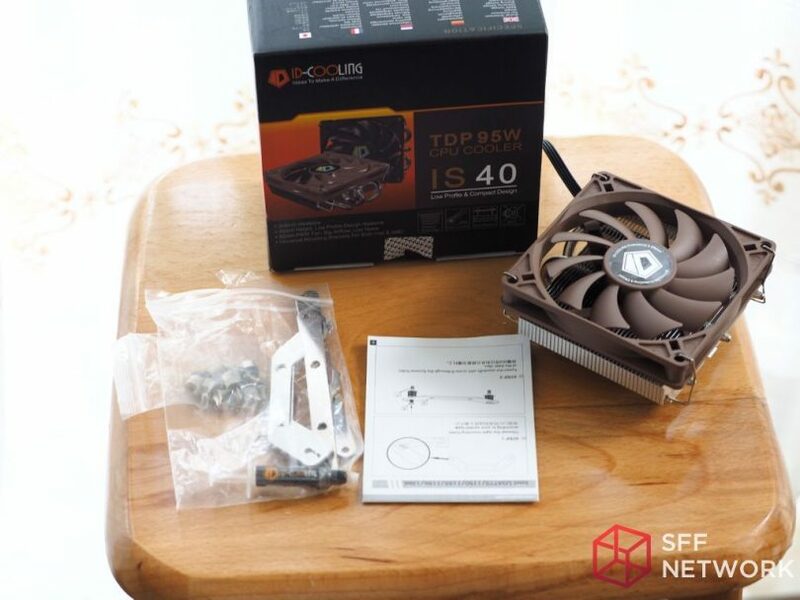 The ID-Cooling IS-40 and IS-40 v3 are budget low profile coolers coming in at just 100 rmb (CNY) or $25 (USD) on Newegg. The easiest way to differentiate the IS-40 from the v3, is that the original has a 3 heat pipe solution and while the v3 has 4 heat pipes. Otherwise both coolers appear to be nearly identical. 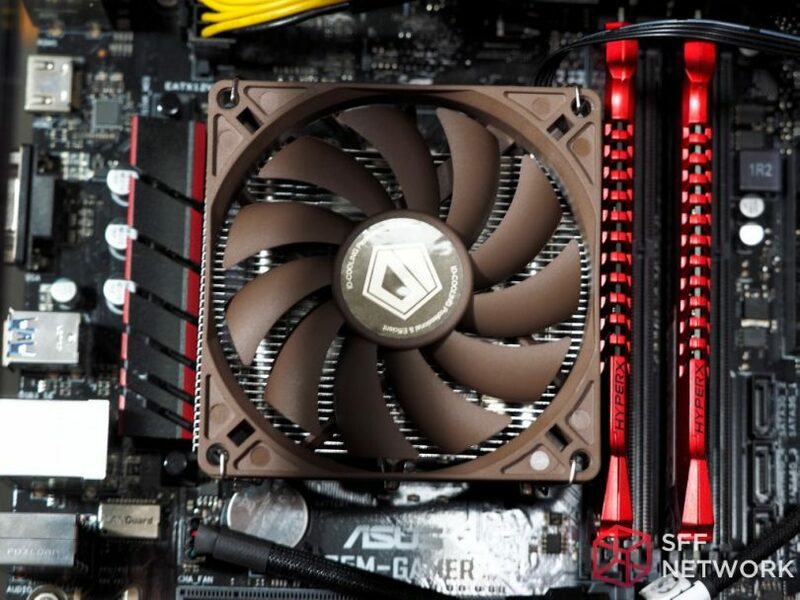 For comparison on this review, I have chosen a similar cooler, albeit with only a 2 heat pipe solution, the Silverstone AR-05, one of the main market segment competitors with the ID-Cooling coolers. This cooler runs about twice the price in the Chinese market, but targets a similar product space. Both IS-40 coolers have good packaging that keeps the components and pieces inside safe and secure. Not much needs to be said about this, other than it leaves a good first impression for such a budget conscious cooler. Continuing with the good impressions, you will find no push pins or clasps here. The cooler comes with a choice of Intel or AMD mounting brackets which screw on to the underside of the cooler. The IS-40 unfortunately requires an Allen wrench to put the mounting nuts into place. The IS-40 v3 fortunately remedies this with a screw drive, however I found it a slight bit tricky as the screws don’t stick through the motherboard to connect to the stand-offs. Not a huge issue though, as a steady hand holding the cooler in place can get this done, but I would say the AR-05 was clearly the easiest to install of the bunch. Finally, the fan uses a clip to mount. Fortunately it’s relatively easy to put in place and did not take a huge amount of effort when the case is on its side. At the price listed, these compromises were acceptable and did not provide much frustration when installing the cooler. The coolers themselves are a mixed bag. While the radiators on both units have a larger fin area than the AR-05, this shouldn’t be difficult as they are taller than the AR-05. Unfortunately I feel they left a lot of wasted space. For example, the base plate is not integrated into the radiator stack, a few mm of open air separates them. Also, the fan overlaps the radiator by quite a bit, leaving several millimeters of fan on either side blowing directly down on the motherboard. The V3 is slightly better designed than the older IS-40, and I calculated around 35% more radiator space. Strangely, ID-Cooling lists the weight as the same for both coolers, despite the added heat pipe and radiator size. 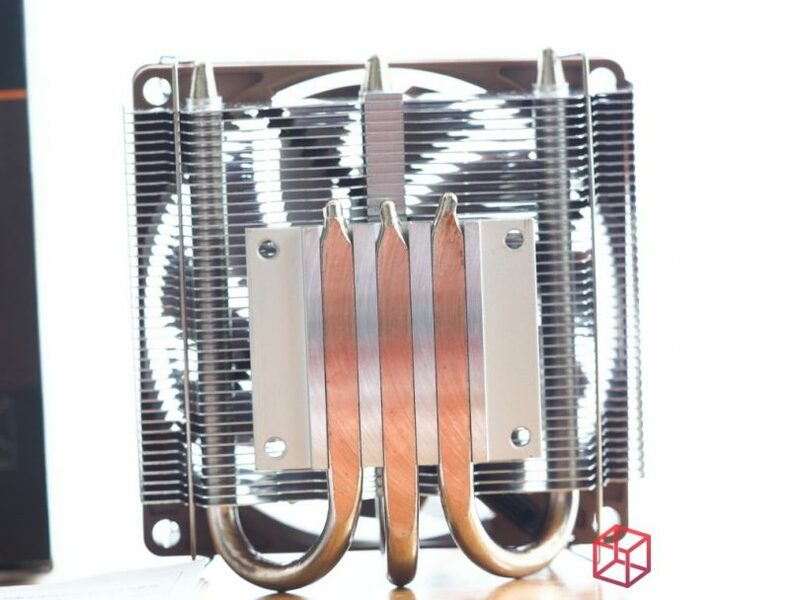 Both coolers use 6mm thick copper heat pipes, the same as the AR05. The fans are also interesting. On paper they appear similar to the Silverstone’s fan, with both listing 2500 RPM as the maximum speed. However, the total air flow of the ID-Cooling fan is better at 44.3 CFM vs 40.2 CFM for the Silverstone unit. In reality, I found the ID-Cooling fans to run at much higher speed than they were listed at, and as a result were significantly louder. 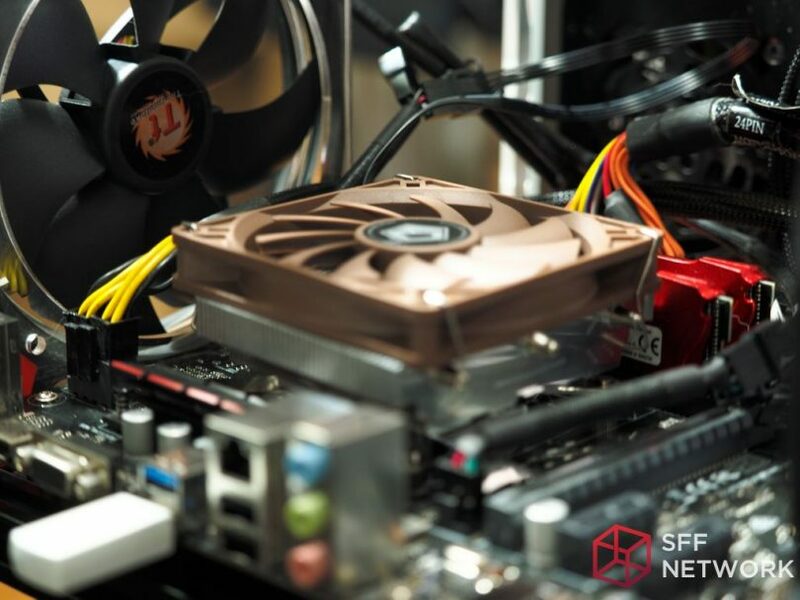 Two sets of tests were conducted, first to test the overall performance of the package with variations (3.0, 3.5, 4.0, 4.5ghz) of clock speeds, and a second to test the performance of the fan specifically. 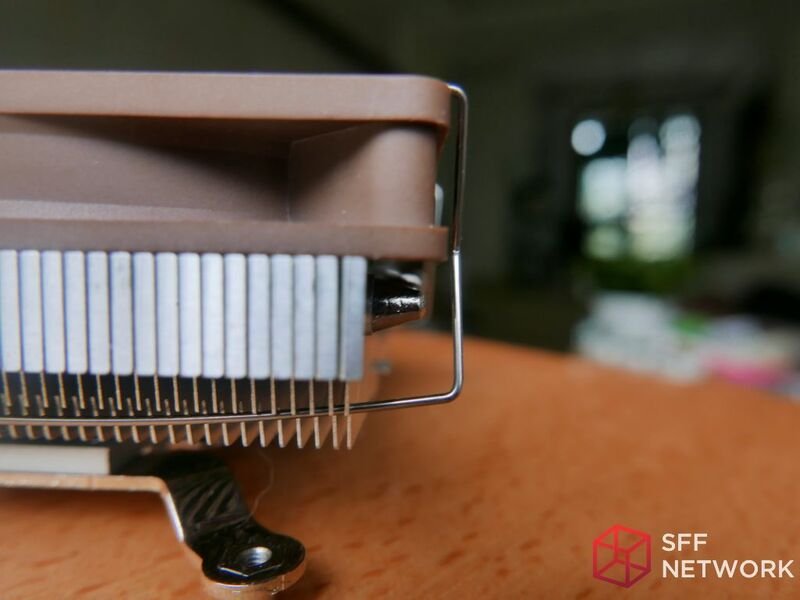 The goal of the 2nd test is to not only compare different fan speed profiles, but to measure against a high quality Noctua NF-A9x14 fan to see if that can improve performance. Using this singular high quality fan also allows the radiator itself to be directly compared against others, as we can eliminate the fan variable from the overall package performance. The test bench is an open air bench with the motherboard placed in a typical layout as it would in your standard tower case. The power supply is in front of the motherboard with the exhaust facing upwards. No GPU is used, and no case fans are installed. In terms of overall package, the IS-40 v3 comes in first place in every test. So to cut to the chase, if the extra 8mm of height isn’t a concern for you, I’d get the IS-40 v3 above the other two. If noise is a problem, you can pick up the Noctua NF-A9x14 fan and still come In at around the same price as the AR05 with stock fan. The performance will be as good if not slightly better, and also quieter. The older IS-40 is not a bad cooler either, it’s performance matched the AR-05, however with the v3 just slightly higher in price, it’s hard to recommend it over the newer version. 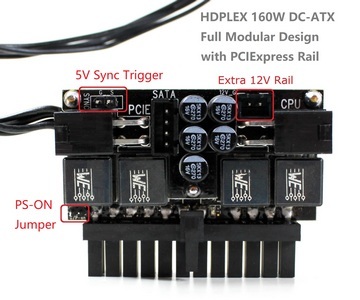 Overall Package performance was tested in a variable clock speed set of tests. Each cooler was tested for 15 minutes of Prime 95 to find the peak temperate reached. Delta temps (in Celsius) above ambient are provided in the table below. As you can see, the results remain about the same compared to each other. All coolers take a 7-9 degree hit in performance, but fan speed cuts in half. While I did not test the noise levels, I found to my ears the noise levels to be acceptable. 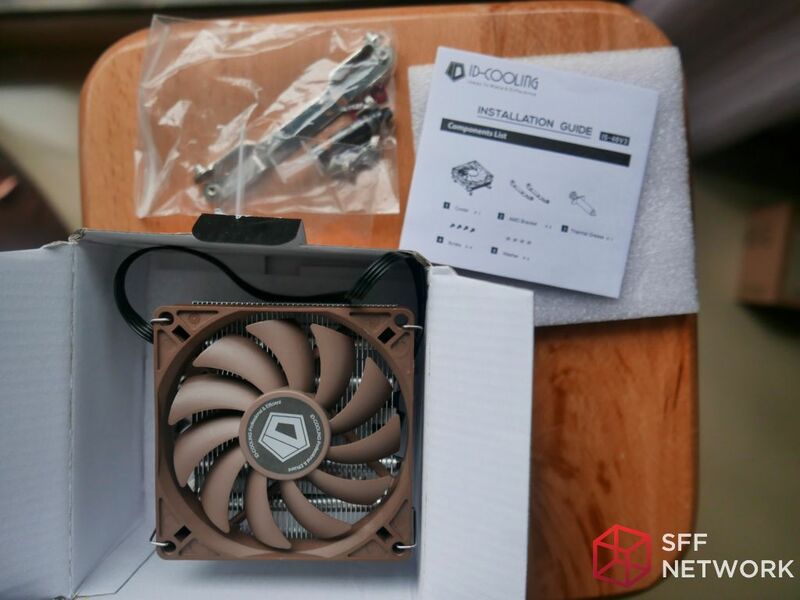 Those demanding the most quiet of systems should check out the test with the Noctua NF-A9x14 fan below! 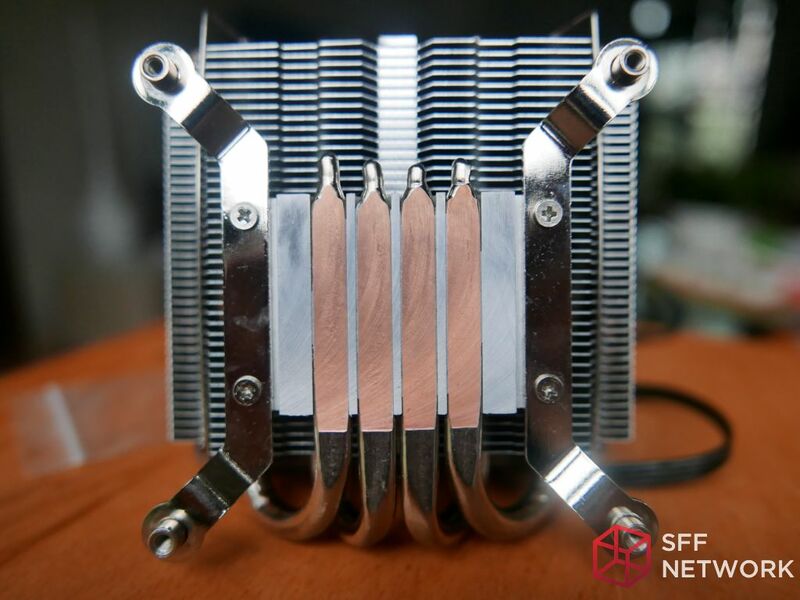 To compare only the heatsinks themselves, I used a Noctua NF-A9x14 on both the IS-40 & IS-40 v3, AR-05, and the ID-Cooling coolers. Pretty quickly though, I noticed that the Noctua fan seems to perform better on a silent, low RPM fan profile and performs worse on a high RPM fan profile. I can only guess that this is due to the smaller surface area of the IS-40’s radiator, which is not benefiting much from the fan blowing harder on it. This could also explain why the ID-Cooling fan is running at 3000 rpm to match the AR-05’s performance at 2400 rpm. When using the same fan on all three coolers, the performance is nearly the same. On a silent profile the AR-05 lags behind but at higher speed it catches up to even the IS-40 v3. Overall, the IS-40 and IS-40 v3 are good budget coolers. The fact they can even match something like the more expensive AR-05 is impressive. A larger radiator surface area would probably go a long ways towards reducing the need for such a high fan speed. Hopefully ID-Cooling can do that in the future without increasing price dramatically. On a side note, I also picked up an ID-Cooling VC-45 for testing. However, my unit did not match the numbers that others have gotten. I noticed the base plate is a bit rough and was not polished adequately. This could account for the poor performance, although even the numbers provided by other sites do not show better performance compared to the IS-40 v3. If you are considering purchasing the VC-45, I strongly recommend looking at the IS-40 v3, as if the price is cheaper, it is the best choice.